One of the best things to do in Philly during the fall is join in one (or more) of the city's many Oktoberfest celebrations. The parties feature German food, music and – of course – beer. In the roundup below, find more than 15 Oktoberfest celebrations happening in September and October. Once again, McGillin's will serve its own Oktoberfest beer. The special brew will be available through Oct. 7, along with a rotating list of German beers and German foods. Plus, there will be pumpkin beers. On Oct. 7, McGillin's joins the Midtown Village Fall Festival for a final Oktoberfest celebration. RELATED: Fall version of StrEAT Food Festival will take place at night | How much of the pumpkin craze is just marketing? 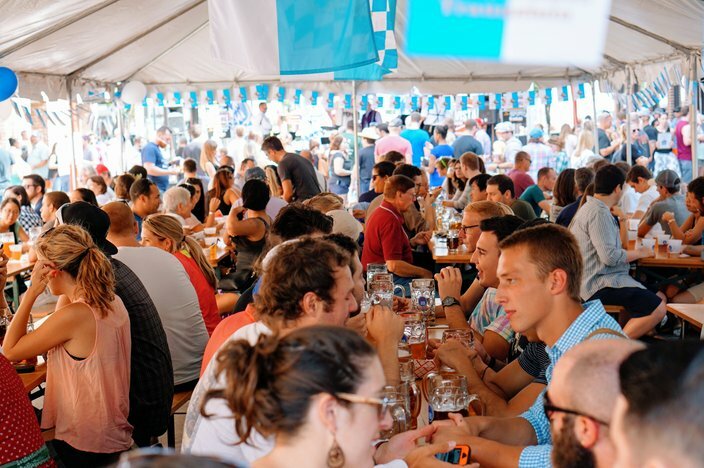 Frankford Hall and its neighbor Fette Sau Philadelphia will team up once again to throw an Oktoberfest block party on Frankford Avenue. It's a family-friendly celebration with German food, drink and entertainment. The 21-and-older crowd can find Oktoberfest beer under the outdoor tent. A beer tent at the South Street Oktoberfest. This annual Oktoberfest celebration takes place outside Brauhaus Schmitz, rain or shine. A large tent will be set up for the purchase of German beers and food. To entertain guests, there will be a Liter Lift Competition, live music, flower crowns and German folk dancers. A VIP experience is also offered, which includes a buffet and more. 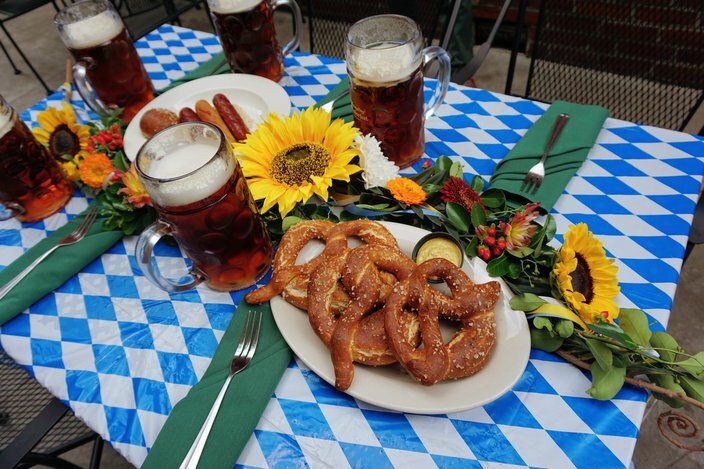 700 block of South St.
On Saturday, Sept. 16, there will be a German bier festival at the Philadelphia Zoo. Fifty different breweries will pour drinks and attendees will receive unlimited samples. Many of the animal exhibits will be open, too. 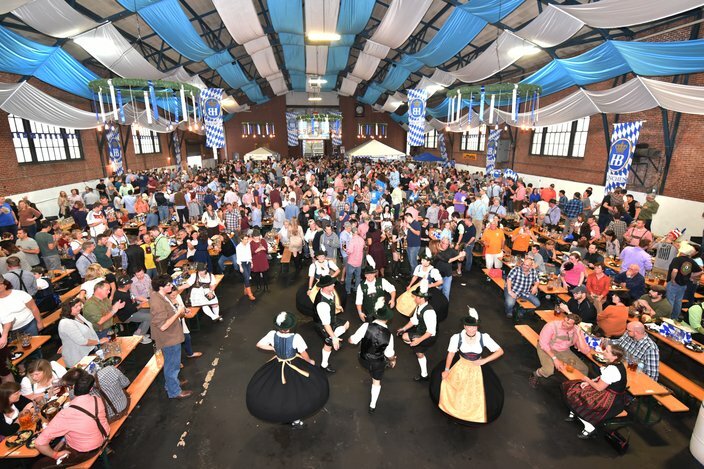 International House Philadelphia's outdoor event will feature authentic German cuisine like wurstl, brezen, and sauerkraut, plus a sampling of German beers and polka music. For the second year, Uptown Beer Garden will throw an Oktoberfest celebration with German imports on tap, a few special American fall brews and lots of German food. The party is free to attend but VIP tickets are also available for $20. Ticket information will become available on Uptown Beer Garden’s Facebook in early September. Ardmore hosts its own Oktoberfest. Head to the Philly suburbs for an Oktoberfest celebration on Sept. 23. Cricket Lane in Ardmore will be transformed into a Bavarian wonderland with German fare, brews and live entertainment. The festival is free to attend but VIP tickets are also available. Alla Spina will celebrate Oktoberfest over three days. On Friday, Sept. 29 there will be a Stein Hoist Competition and five Victory lagers on tap at the restaurant. The next day, Saturday, Sept. 30, will feature a block party from 1-6 p.m. with music, games, German food specials, beer and family-friendly activities. On Sunday, Oct. 1, the celebrations will end with German brunch specials from 10 a.m. to 2 p.m. There will be dishes like "Bratwurst Breakfast" and "Schnitzel Biscuit." Lagers will also be $2-off. Beginning on Friday, Sept. 29, Iron Hill Brewery & Restaurant will celebrate Oktoberfest with a special menu featuring German-inspired dishes. The Brewery will also release its popular Oktoberfest Lager. The beer will be available in 16-oz. cans while supplies last, as well as on draft through Sunday, Oct. 15 at all 12 Iron Hill locations. Xfinity Live! 's party is one of the biggest Oktoberfest celebrations in the city. Attendees can sip on unlimited beer samples. More than 250 craft beers from 125-plus breweries will be available to try. This year, the beer garden and party area has been expanded to fit more than 15,000 people. "Plenty of space and no long lines," reads the event description for the sixth annual Oktoberfest Live! Besides tons of beer, the event also features live music – everything from a DJ to authentic German songs. The 23rd Street Armory transforms into a beer hall. This German Oktoberfest includes four sessions, each able to accommodate 1,500 people. Expect authentic German food, beer and music to match the authentic decorations. Beerfest Royale will feature an outdoor beer garden, food from King of Prussia’s best restaurants and live music. The festival kicks off with the Donnerstag Happy Hour on Oct. 5. Guests can enjoy unlimited food and drink, a cocktail lounge, a cigar lounge and live music. Tickets start at $65 per person. Then, on Oct. 7, beer-lovers can drink under tents during two different festival sessions. Tickets start at $40. Roxborough throws its own family-friendly Oktoberfest each year. The festival features craft beer, food trucks, live entertainment and games. Watch the recap video from last year's event below. This Oktoberfest celebration takes over a few blocks of the Graduate Hospital neighborhood. Attendees can sip on local beer, grab something to eat from an array of food trucks and listen to live music. Bring the whole family to Peddler's Village in Bucks County to experience German foods like bratwurst. 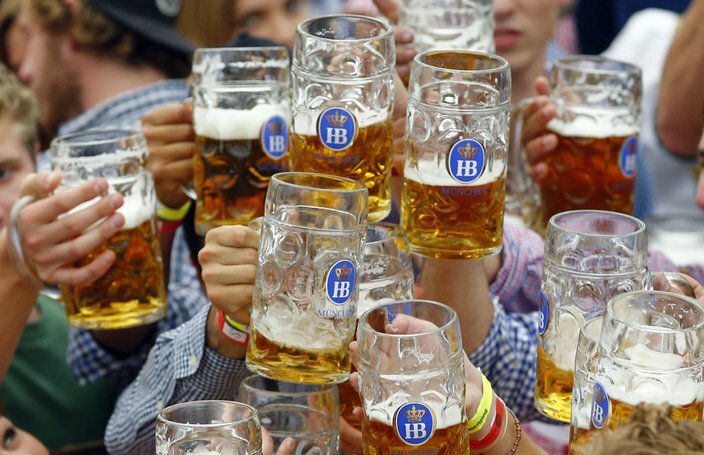 Those 21-and-older can also sip on Oktoberfest brews. The historic village will host the festival for two days and there will be plenty of family-friendly outdoor activities during the weekend.